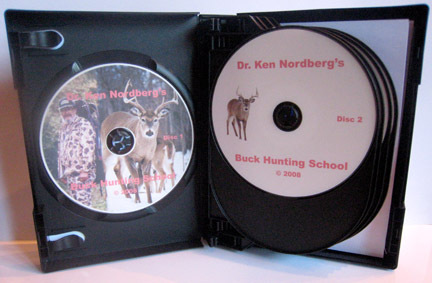 Here at last is the DVD series whitetail hunters all over America have been requesting for many years -- Dr. Ken Nordbergs Buck Hunting School. Unfortunately, Dr. Nordberg decided to stop giving these classes in 2005. Over the years, many of the students from past classes wished they had a video version of the class(es) they took. Over the years, many hunters were unable to go to these classes due to cost, conflicts with dates, or other reasons. Over the years, thousands of hunters have enjoyed Dr. Nordberg's slide presentations at hunting shows but wished they could have seen his slides better and had a video of the presentation. 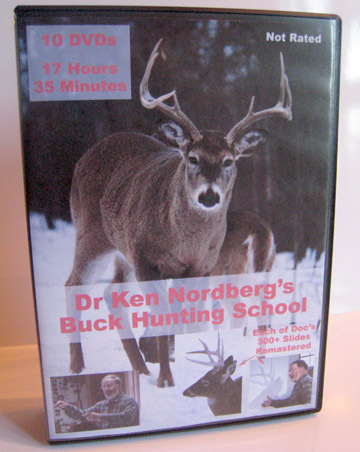 Now, for a fraction of the cost of the original classes, you can experience Dr. Ken Nordberg's Buck Hunting School! These schools were made possible by 38 years of unique ongoing, scientific, hunting-related research with wild deer over much of North America. What you will learn here is the truth and it works. New and improved hunting methods introduced in these schools, some wolf inspired, were painstakingly developed to greatly improve your odds for taking with gun or bow whitetails most hunters only dream about, namely, mature bucks, truly among the worlds most elusive of big game. 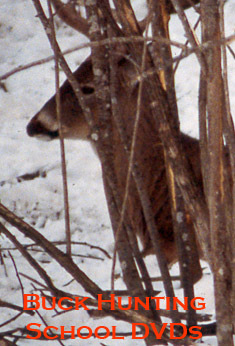 Of course, these methods also improve odds for taking other deer as well. Students who were fortunate to go to Dr. Nordberg's Buck Hunting School received 36 hours or more of instruction. 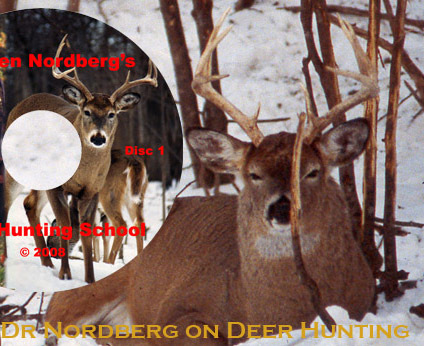 Dr. Nordbergs son, John Nordberg, video-taped the last two schools -- in 2004 and 2005 -- and then edited the time down to 18 hours, making certain the finished DVDs would have the same hunting value provided to students who attended these schools in person. No hunting instruction beats receiving instruction in the field in person by Dr. Nordberg. But now you can have the next best thing and be there via DVDs. You can watch these DVDs -- as often as you wish -- in your own home at any time convenient to you, saving costs of travel, food, lodging and school tuition. Dr. Nordberg loves to teach buck hunting. There is no other method of training hunters how to hunt Big Bucks like this on the market. Dont miss this unique opportunity to learn what you need to know to become a regularly successful buck hunter. These DVDs are now shipping. "DVD Order Form PDF." At PayPal's site, you will see the business name "Embroiderglyphs."